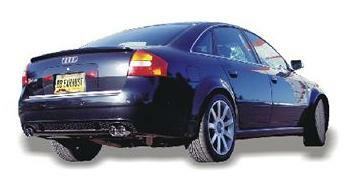 Billy Boat Performance Exhaust is the first manufacturer to offer a 100% T-304 stainless steel exhaust system for the Audi RS6. 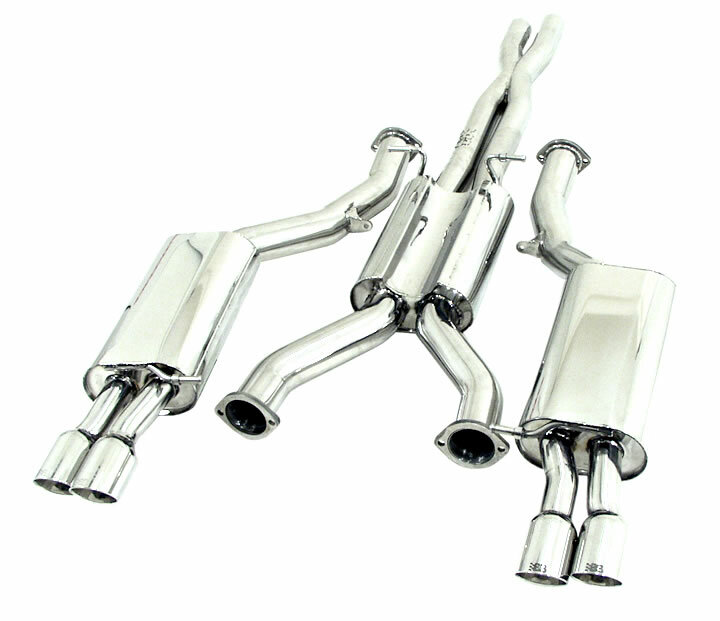 This high-performance system begins at the factory catalytic converter with 2.5" tubing and exits the center muffler with dual 3" tubing. The 3" tubing continues to fully-polished low-restriction mufflers that hang in the factory mounting location. This true-dual system finishes nicely with fully polished twin 3" double-wall tips. Installation is simplified with this completely bolt-on system. Absolutely no cutting, welding or modifications are needed for installation! This true-dual system is TIG welded and completely mandrel bent resulting in a precision fit and an even exhaust flow.